KO end up getting the best magic in the game. They're DUARDIN, and they don't even have gods! I could totally see GW doing that. Endless gadgets! Endless drones! No, no, no, i've got it. Endless Grudges!!! Endless gadgets! Endless drones! No﻿, no, no, i've got it. Endless Grudges!!! Definitely Endless Grudges for Barak Thryng, and everybody else gets Endless Gadgets. 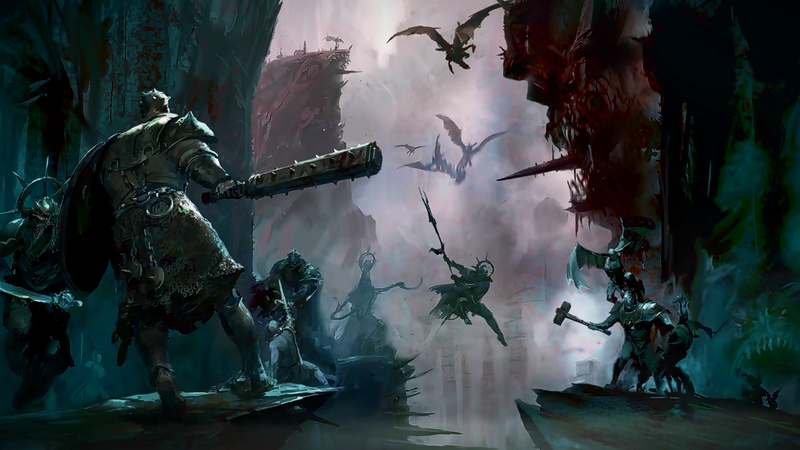 Remember we don't yet know what the Khorne prayers' "fixed chance to disappear at the end of each turn, modified by the presence of a nearby Slaughterpriest" is. Oh, this is easy. So you roll three dice. If ALL of them are ones, the spell disappears. But of course, you roll once a battle. 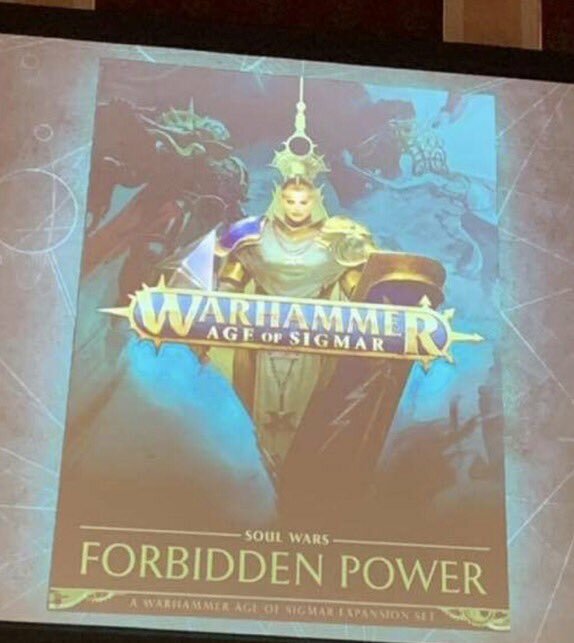 You can see one on the left facing the guy from the starter set, the jumping female fighter and the tomb king looking one in the background. 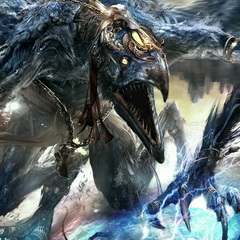 You also have the fighter with wings on the right who is clearly not a harpy. He may be from a fourth faction. Those are Stormcasts of Doom. 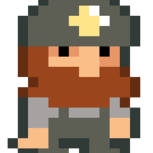 So the last warband icon. 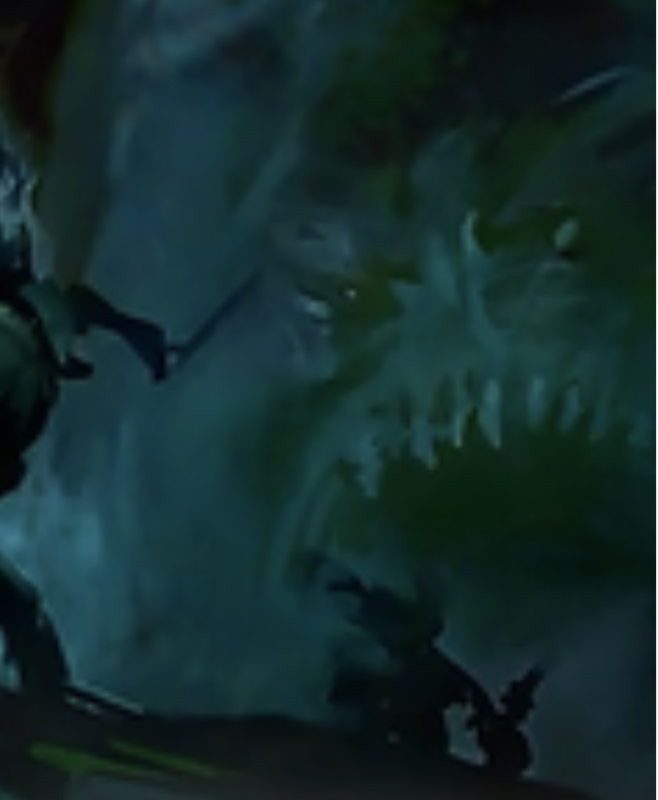 Considering that every detail in GW artwork, no matter how small, normally becomes the subject of both hilariously wrong and outlandish theories I AM DISAPPOINT that no one is talking about this chap... Clearly some new fangled (& fanged) mountain stormcast chamber or IDK endless spell. Good news - Gladeguard are BACK! 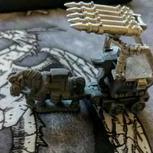 They were listed as out of stock online and going away - however now they are listed fully back on sale on the UK GW website! Is that the BEASTCAST ETERNALS! However both me and a team of experts have analyzed the video "Forbidden Powers" and drawn some conclusions. If you take a good look at the video you can SEE and FEEL the muttering of the dwarves, the glitter of the King's throne and the 4 distinct figures of the bearers! Slow down the video to 0.5 and you can clearly hear the Thane distinct voice stating the long list of grudges against Nagash. It's obvious! Look at it! I﻿f you take a good look at the video you can SEE and FEEL the muttering of the dwarves, the glitter of the King's throne and the 4 distinct figures of the bearers! But Grungni was the one giving Sigmar the ability to throw lightning and left him with some duardin like the 6 smiths. And its called Stormvault. Maybe its just wishfull thinking. No, they said it wasn't a new Chamber. This is just the cover art for the expansion, whatever it is. As I said from the start, of course there will be new SC. Not a new chamber maybe but new SC absolutely. SC are one of the pivotal Soul Wars protagonists and AOS in general. Big events are going to have then involved whether people like it or not. No way, that's totally Settra riding an evil stardrake! Mayby it will be about special artefacts for heroes ? the expansion of an old chamber then? No. It's not Stormcast specific. It's an expansion for the game as a whole (like Endless Spells, I imagine).